I look for how the prompt gets used–subtle or obvious–and I like either as long as it’s done well; and if you’re going for the obvious, make it stand out. However, you shouldn’t make me wonder if the prompt is in there or not. Finally, I look at grammar and punctuation, style and usage, and that the story has the proscribed elements of a story–a protagonist, an antagonist, setting, a conflict, and a resolution, i.e., a well-structured piece of fiction. And, of course, a complete story includes a title. As with the prompt, I shouldn’t have to wonder whether the title and the story belong together, but I also like titles which have subtlety and titles which are puns. SVW member Phyllis Anne Duncan (Twitter @unspywriter ) is a retired bureaucrat with an overactive imagination–at least that’s what everyone has told her since she first started making up stories in elementary school prompted by her weekly list of spelling words. A commercial pilot and former FAA safety official, she lives and writes in the Shenandoah Valley of Virginia. A graduate of Madison College (now James Madison University), she has degrees in history and political science. Her love of politics continues to this day. Her first print collection of short stories was the 2000 paperback, Rarely Well Behaved, which, in 2012, became two separate, reissued books, Blood Vengeance and Fences. In December 2012, she published Spy Flash, a collection of espionage flash fiction stories. Other short stories have appeared in eFiction Magazine in 2011 and 2012, in the 2013 Blue Ridge Anthology, and in 100×100, a collection of 100-word flash fiction. 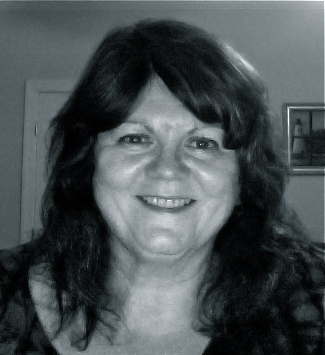 Ms. Duncan has studied writing at the Gotham Writers Workshop, Writers.com, and Tinker Mountain Writers Workshop. End Times, Book One of a trilogy on domestic terrorism, was a semi-finalist in the 2011 James River Writers Best Unpublished Novel contest. She is a member of Shenandoah Valley Writers, WriterHouse, James River Writers, Virginia Writers Club, and the Association of Writers and Writing Programs. When not writing, reading, or reviewing books, she takes delight in spoiling her grandchildren. If you want to see more, there are several interviews and a profile here.